GoSun Stove is a highly efficient, fuel-free, solar stove company. It was first imagined by Patrick Sherwin after he threw a couple of hot dogs in passive solar hot water heater. With the help from a social designer, Matt Gillespie, they launched their first product the GoSun Sport on Kickstarter in 2013. It was an overly successful campaign, which allowed them to create a for-profit business that funds the social enterprise that provide solar stoves and job opportunities in Latin America. When I worked at GoSun Stoves as a product design intern in the spring of 2015, I worked closely with the industrial designer, Nate Maggard and Patrick to design what would be the next version of a GoSun stove to be launched into a new cooking market. A new kickstarter was on the horizon in order to keep the business functioning at a sustainable model. GoSun Stove is the only solar cooking company to be funded by the United Nations and the Global Alliance for Clean Cook Stoves. 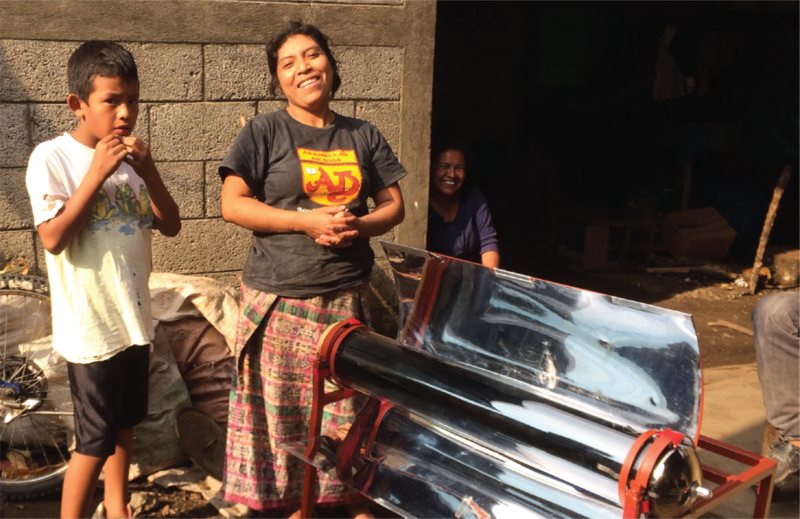 The grant was for conducting a pilot study in Guatemala to see how the technology could benefit impoverished areas by providing smoke-free cooking technology and provide business development opportunities to the native population. Matt ran a collaborative workshop with the locals to see what their needs were in terms of price, cooking efficiency, cook quality and cooking volume. Through that experience we learned that the next design needs to address these pain points. We took what we learned from the Guatemala Pilot study and applied it to the developed market, in order to gain enough capital to sustain both sides of the business. This meant pushing efficiencies, the food volume, matching conventional cooking methods and, of coarse, addressing the issue of cooking at night or at low sun. As we conducted market research, we found an opportunity in the outdoor grilling market. Grills have an integral role of many social gatherings for large scale cooking, but many areas were banning grilling because of the fire hazards in dry climates. 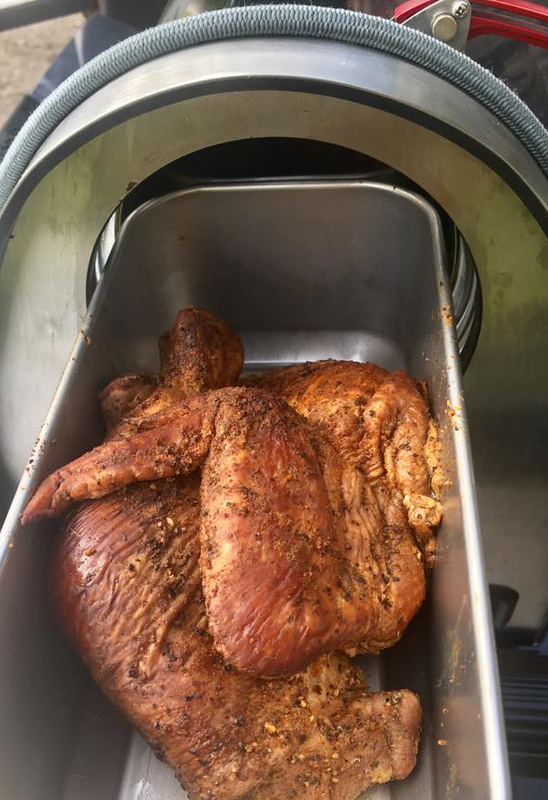 For people that host potlucks, family dinners, block parties, or sporting events, the grill is the center piece of the event and GoSun Stove can fulfill that need in a fuel-free fashion. How does it generate heat? Each GoSun Stove product uses a borosilicate glass vacuum tube as the cooking chamber, which absorbs light while acting as a perfect insulator. Sunlight travels through the clear glass exterior, pass the vacuum of air, and makes contact with the 3 interior layers of spun metal film. The energy from the sunlight is then transferred from the metal film of the tube to the stainless steel cooking pans through conduction. In order to capture sunlight for heating, we use highly polished, parabolic aluminum reflectors to redirect the sunlight. The reflectors increase the GoSun Sports efficiency by 400%, which allows it to achieve higher temperatures in full sun. The result is 360° of cooking inside the tube with perfect insulation of heat. It has more of a high moisture cooking style, which allows anyone to bake, broil, fry, slow cook, and sear with the GoSun technology. The GoSun Grill sun dial allows users to achieve perfect alignment to the sun, which means optimal cooking. When the glare and shadow meet in the center of the dial, the grill is at alignment. The cap temperature gauge finally lets the user's know what is happening inside that tube, and prepare meals a similar experience to stove top cooking. What if it gets dark outside? This was an avoidable problem that needed addressing in order to legitimize solar cooking as a new form of conventional cooking. 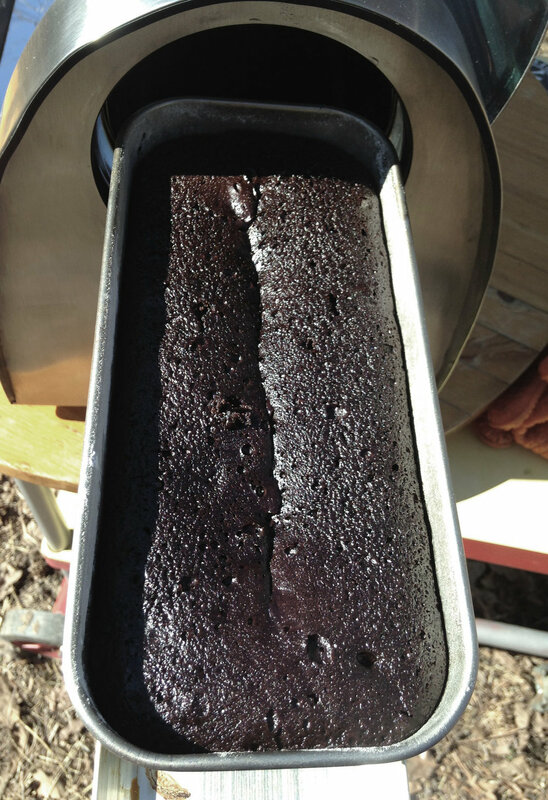 We addressed this initial hurdle in solar cooking by integrating an thermal battery to the cooking process. The thermal battery acts as a hot plate filled with parafin wax and salt, so it has a latent state change. 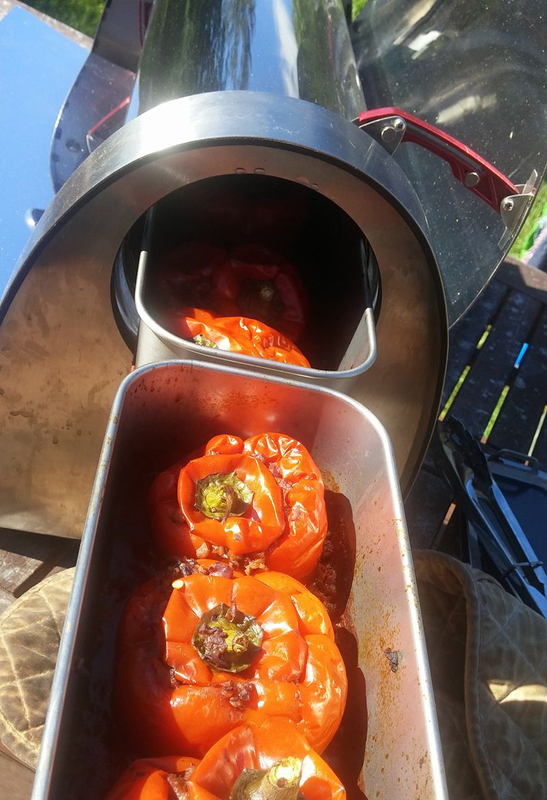 This allows the hot plate to stay above 185ºF for 5 hours. All it requires is to preheat the solar stove during the day with the thermal battery inside the tube and it is set to cook at night. After extensive testing, we ended up modifying the thermal battery to operate off of electric solar power cells, because the paraffin wax solution is not a repair friendly solution. The GoSun Grill has an arsenal of different cooking styles that can be achieved with just the power of the sun. It can bake, broil, fry, steam, simmer, boil, and roast. This has never been achieved with any other mobile outdoor cooking set, which creates its own category of outdoor cooking. The cook quality is similar to a high pressure cooker, but you can release steam and moisture at different phases of the process to control the moisture content within the tube. It can achieve up to 550ºF and outputs an estimated 250 Watts of power in full sunlight. 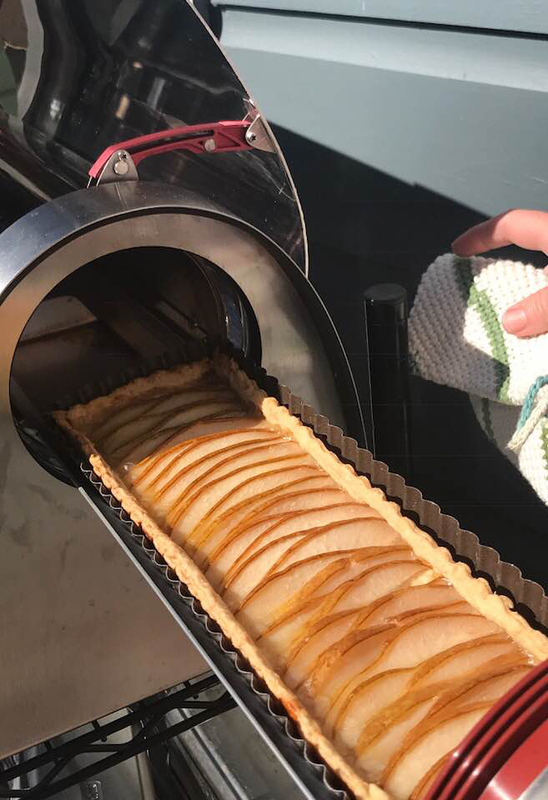 The GoSun Community Kitchen is a facebook group of 4,500 members that post regularly about recipes they cook in their GoSun products. Here are some of the dishes cooked in the GoSun Grill after the product launch. It was the fastest development process of any product I have ever worked on. We started working on it in December of 2014, and launched the GoSun Grill on kickstarter in April of 2015 with a workable prototype. We asked for $140,000 for the initial development cost and ended up earning $563,285.00 for the 3 month campaign. The product was soon released after in the Fall 2016. It was awarded this year’s 2016 CES Innovation Award Honoree in Eco-Design and Sustainable Technologies category. With winning this honor, the GoSun team also competed in Tech Crunch Start-Up Battlefield competing against 14 other small companies for seed funding and new mentorship from the panel of judges. I want to take the time to say, how lucky I was able to work on this project with amazing people like Patrick Sherwin, Nathan Maggard, Matt Gillespie, Ben Pitz, James Wolf, and Gary Starr.